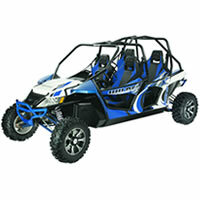 Arctic Cat has added five new models to its lineup of 2014 side-by-sides and three of them went into the utility series. The Prowler 500 HDX, HDX XT and HDX Limited are all new for 2014. Perhaps one of the biggest decisions facing side-by-side customers is whether they should buy a two-, a three- or a four-seater? 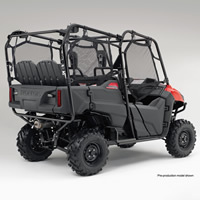 Well that decision might be a little easier for some to make now that Honda has released the 2014 Honda Pioneer 700-4. 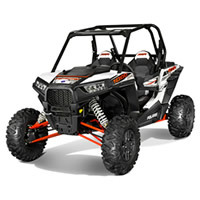 Polaris revolutionized the off-road vehicle industry when the company released its sport-driven RZR for 2008. It was then that the recreational side-by-side market really started to grow and there is no indication that it will be slowing down anytime soon. With a newly expanded lineup of side-by-sides, Polaris is ready to once again lead the pack. 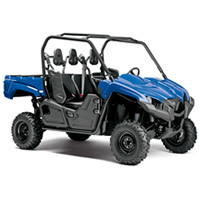 Yamaha unveiled its new lineup of 2014 off-road vehicles in early June and what you won’t see for the new model year is the Rhino side-by-side. In its place sits the all-new 2014 Yamaha Viking. Any backcountry enthusiast will tell you that one important piece of essential gear is a satellite phone or radio. However, radios work spottily in the mountains at best and although sat phones work, their price usually means that most people don’t have or carry one. 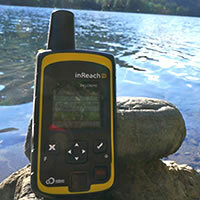 Introducing your newest safety friend: the inReach SE 2-Way Satellite Communicator. The 26th Annual Crowsnest Cross Country, hosted by the Brooks Motorcycle Club and organized by Corner Grass Racing Team (CGRT) sponsor David French of A&E Racing, ran on the Labour Day long weekend. It’s often been said that you have to watch out for the quiet ones as they can be the most unpredictable. Well, in the case of Ryan Linderman, it’s quite the opposite—when it comes to off-road racing that is. It is almost impossible to get to the top of any level of motocross, and there always seems to be another level higher when you do conquer one. Short of breaking into a song inspired by Mary Poppins, there are a few wonderful products I use to clean my toys that make my heart sing.